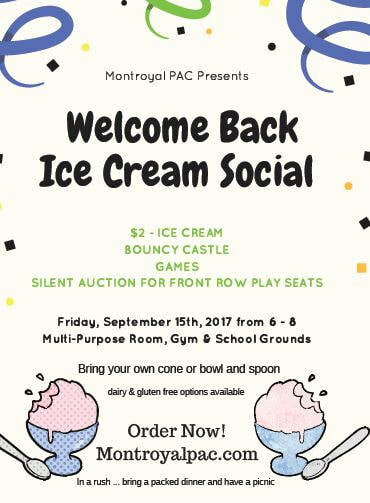 ​Montroyal PAC welcomes you to the 2017/2018 school year! Please note that our hotlunch database system is currently offline. Your new code is in the Welcome Package that will be sent home this week. Students in Grades 1-7 again report to last year's classroom for a regular day of school. Both new and returning families need to register into the system (due to privacy laws, the information must be renewed each year). If you do not register, you will not be able to purchase hot lunch nor will you receive the Sunday school update emails. PLEASE click here for more information. More details will be provided in the printed Welcome Package sent home with students on how to register on our ordering system. Ordering officially opens Friday Sept 8th (*registration is required before you are able to order hot lunch). Kindergarten students should come to school according to the time given on the individual letters that they have received. If parents have not received a letter, please call the office. We encourage walking or cycling to school to improve students’ concentration and overall health. If you live out of catchment, consider parking a few blocks from school and allowing students the chance to get some fresh air and exercise. Montroyal is not the only school in the neighbourhood so please remember to drive with care. School and playground 30 km zones are in effect and will be enforced starting September 5th. Please watch your speed along Prospect Ave and Highland Blvd. The increase in class sizes means more staff, making the school parking lots STAFF ONLY. We no longer have a Montroyal Family parking spot. Please bring your own bowl & spoon OR cone. Welcome! 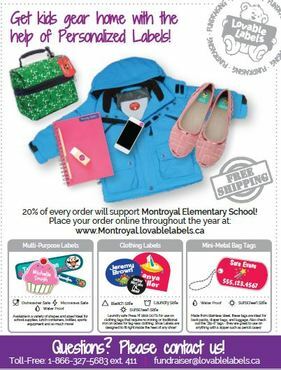 Please check out our web page NEW TO MONTROYAL for information about the school or contact any MPAC member for information. We look forward to meeting you! ​New to Canada? Check out the Northshore Multicultural Society web page HERE for information to help you and your family learn about and understand the systems and services available in Canada. If you did not take advantage of our EduPAC service or you are new to the school, the teacher recommended supplies per grade can be found here. Grades 2-7 please bring labelled school supplies on Wednesday Sept 6th. For Grade 1 students, please wait until Thursday Sept 7th to bring your labelled school supplies. Gearing up for Back to School? Grade 5 MOVE IT Team....We need YOU ! The Montroyal After School Club features arts, crafts, drama, sports, games and more! Fall Session starts September 11th, Mondays-Thursdays from 3:00-5:30pm for Grades K-7. Registration details can be found HERE and on the North Vancouver Recreation website. This is a chance to meet the teacher, understand expectations and volunteer opportunities. Parents from Grade 1 - 7 meet in the gym, kindergarten families meet directly in the classroom.